36 Hours in Tucson: Canine Edition, Part 1 | Will My Dog Hate Me? Sometimes I’m way ahead of the curve. For example, I’ve been blogging about doggie dental care since the beginning of this month, well in advance of the designated Pet Dental Month, February. (Of course, I’m not big on designated months; see November Is Pet Diabetes Month: Oh the Irony). Sometimes I’m far behind it. On January 3, the New York Times published one of its travel wrapups, 36 Hours in Tucson. This, in turn, generated spins on the story by several Tucson bloggers. At Tucson Cowgirl, writer Monica Surfaro Spigelman took readers off-the-beaten-path. 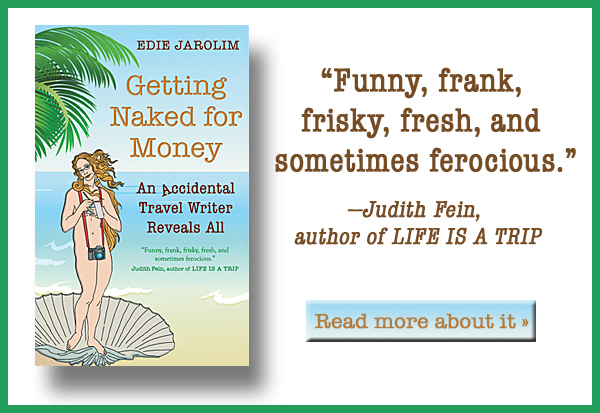 Donna Hull at My Itchy Travel Feet directed active baby boomers to her favorite local attractions. Then Vera Marie Badertscher at A Traveler’s Library explored Tucson’s northwest side in a laid-back fashion, adding a literary twist. Now I’m going to give the pup’s eye perspective, a tour that provides plenty of dog-friendly fun while ensuring that human visitors savor Tucson’s special flavor, too. For a brief video overview, see my pet travel segment on KVOA TV (extra incentive to watch: Frankie’s in it). 4pm Check into the Loews Ventana Canyon Resort. It’s not only a world-class lodging in a spectacular setting, but it accepts dogs — in fact, all domestic pets — of any size for a one-time fee of $25. Which is as it should be. After settling into your room, head over to the Ventana Canyon trailhead, which branches off from the entryway into the resort. You can’t hike more than half a mile or a mile into the canyon with your dog — to protect the pronghorn sheep, according to the Sierra Club, which details the entire hike here — but it’s a nice long walk from the resort back to the road, so you and your pooch will get plenty of exercise and a brief introduction to the desert (careful, it bites) before dinner…. … which you can order in if you don’t want to leave your pup alone; there’s a doggie room service menu. When Frankie and I stayed there, I ordered a brown rice, veggie, and salmon combo for his dinner. When it arrived, I realized it could have fed a Great Dane. I gave Frankie his fair share and ate the rest. It was a bit bland until I added some hot sauce, but fresh and filling. 9 am (that’s late for us Tucsonans but you’re on vacation so sleep in). 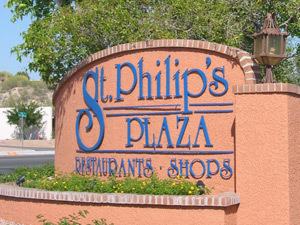 Head for St. Philips Plaza, a lovely Spanish-style shopping center with some of Tucson’s best restaurants. One of them, Acacia, recently opened a gourmet market where you can buy takeaway breakfast burritos, quiches, and sandwiches. If there’s no room at the sole table in front of the restaurant, you’ll find several benches and tables arrayed around a fountain on the west side of the plaza. Note: If you come on a Sunday morning, the city’s best Farmer’s Market is doggie central, with lots of meeting and greeting and sniffing of food and rear ends (the dogs, not usually the humans). 10am Take a walk with your dog along Rillito River Park. Out-of-towners tend to be disconcerted by this name because the park consists of trails flanking a riverbed that’s almost invariably dry. But if you don’t see water, you do see plenty of desert scrub (mesquite, creosote, palo verde), the soaring Santa Catalinas, bike riders, horseback riders… and of course people walking their dogs. An entrance to the trail is right behind The Windmill Inn, which is another great place to stay if dog-friendly rooms are available (they’re in limited supply). But it’s best to walk south of the plaza across the pedestrian bridge to the river park entrance marked by a sign for the University of Arizona Agriculture and Life Sciences extension. On this (east) side of the river walk, you’ll come to a newly revamped area in the Rio Vista Natural Resource Park that’s particularly dog friendly, with pup-height fountains and a large open space to run. Warning: Many people take their dogs down to the dry riverbed where there’s even more space to run. But coyotes like to play — and eat — there too. Noonish Trader Joe’s is right across Campbell Avenue from St. Philip’s Plaza. When you return from your walk, go there to pick up supplies for a picnic at… well, you’ll just have to wait for my next post to find out. Terrific tour! I’m so glad to get the riverbed included since I couldn’t sneak that walk in to my Northwest side review. However, don’t forget the wonderful public art installations along the River Walk. And thanks for the mention (check the spelling of that pesky last name). Looking forward to the next post. Sorry — as a person with a pesky last name myself, I should be more sensitive to that. I’ve made the change. Glad you liked the mention of the River Walk and of course you’re right, the art is wonderful. But — I hate to say it — most dogs are a bit philistine. The only thing they do with public art installations are to, um, mark them. There’s more to come. The only way I could get this post up was to divide it in half and promise the rest. Now I can’t blog again until I finish the tour! Like the thought of walking with Ty & Buster at the River Park (anything to tire Buster out). I have only ever been to Arizona twice – and both times to Phoenix. What is the biggest lure of Tuscon for tourists and visitors with pets? And, if you had to pick one to visit – Tuscon or Flagstaff? BTW, we have a Loews in Philadelphia. The ground level of the hotel is a restaurant with a lounge bar and restaurant. Because the hotel is pet friendly, YOU CAN BRING YOUR DOG INTO THE LOUNGE! Yep. So, we would walk from our apartment to the lounge in winter, taking the boys with us, and order off the restaurant menu in the lounge. Woof! Well, I’m kind of biased towards Tucson, since I chose to move here. Flagstaff is a great town, but under about 3 feet of snow right now. In contrast, it was 65 degrees and mostly sunny here today. That said, in summer, Tucson’s not much fun (that’s code for hellishly hot) whereas Flagstaff is very pleasant at its mile-high elevation. I guess the biggest draw of Tucson is its great number of wide open spaces for desert hikes. And its natural beauty and, for the most part, laid back attitudes (more so than Phoenix), but similar to Flagstaff, another university town. And in my experience,Tucson has better restaurants, better architecture, and is easier to get to. And that’s from a person who is only a reluctant fan. Great Video! And report on traveling with our furry family members! Thanks! I tried to embed the video — rather than just providing a link — but couldn’t manage it for some reason. Hope you’ll come back for Part II! Tucson sounds lovely! I’m looking forward to the second half of the post! According to GoPetFriendly.com, the Saguaro National Park allows pets on a six-foot leash, as long as they are in developed areas (they are not allowed in the backcountry). For those of us in other parts of the country checking out the impressive forests of Giant Saguaro right on the edge of the city of Tucson would be too cool – pun intended – to resist! It is a lovely city, but I just called to reconfirm: Dogs are not allowed on any of the trails inside Saguaro National Park, only on the paved loops that cars can drive on — and therefore, as the ranger I spoke to said, “I wouldn’t advise it.” The trails that you describe as backcountry are the standard hiking trails inside the park. It’s a bit confusing. When you talk about a saguaro forest, the operative term is saguaro — as in desert vegetation — rather than forest. Saguaros do grow in thick stands, thus the forest designation, but they provide no shade. And when it’s hot, it’s hot! But don’t worry; I’m on the cactus case, and providing a good alternative to Saguaro National Park for people with dogs in my next post, coming up very soon! I’m enjoying your tour! Makes me wish I had a dog. Just be sure to leash Frankie on the River Walk (but of course I know that you do). Lots of bicyclists and joggers use the same path. Thanks, Donna. You’re so right about the leashing. The trail is shared by bicyclists, joggers — and horseback riders! It seems unfair that they don’t have to scoop their poop, as dog owners — who are mostly very vigilant about it — do.